The Admiral and General each control different leaders and have some slightly different responsibilities as explained later. A player makes all decisions for his leaders and rolls dice for them when resolving a mission. Both players can activate systems and move his team's ships and/or ground units. When playing with more than two players, use the "Team Game" side of each faction sheet. Each team has two leader pools, and all leaders are placed in the leader pool that matches their leader color (Admiral=blue; General=orange). During the Command Phase, players take turns following the initiative number shown next to their role's name on their faction sheet (starting with #1, then #2, etc).. During a player's turn, he can activate a system using one of his leaders, reveal a mission that one of his leaders is assigned to, or pass. Players on the same team can share as much information as they like. They can show each other cards without showing the other team, but all discussion must take place openly in front of their opponents. They can talk in code or whisper, but they cannot leave the room to have private discussions. Recruiting: When recruiting new leaders during the Refresh Phase, the Admiral draws two action cards and decides which leader to recruit. When he recruits a leader that belongs to the General (i.e., an orange leader), he gives that player the card and leader to place in his leader pool. 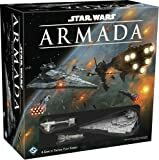 Space Battles: The Admiral rolls dice, draws and plays space tactic cards, and makes all decisions during space battles. Building and Deploying Units: The Admiral makes all decisions when building and deploying units. Mission Cards: Both the Admiral and General can assign their leaders to mission cards. 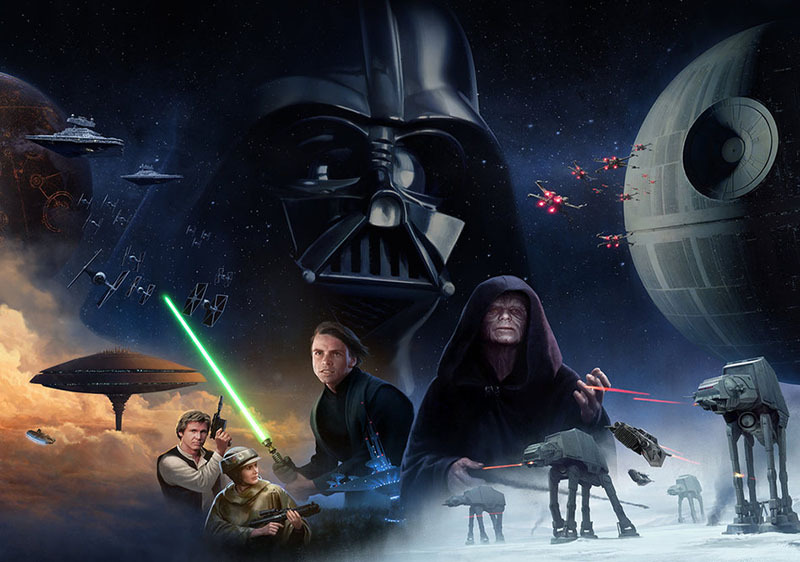 The General controls the hand of mission cards, and if players disagree on assignments, he can disallow the Admiral from assigning a leader to a mission. Ground Battles: The General rolls dice, draws and plays ground tactic cards, and makes all decisions during ground battles. Probes: The Imperial General is in charge of drawing and managing the hand of drawn probe cards. 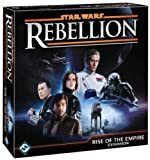 Objectives: The Rebel General is in charge of drawing and managing the hand of objective cards. He makes all decisions regarding which cards to keep and when to play objective cards. During a three-player game, one player controls the Rebels while the other two split control of the Imperials (one Admiral, one General). The Rebel player also uses the "Team Game" side of his faction sheet. He has two turns each round, and he must use his orange and blue leaders separately (as if playing a four-player game).